ARIES – Those who are married would today spend an evening out with their partner and kids. An enjoyable evening on the whole. Parents would be very proud of their children. They would excel in their studies or co curricular activities and they would become famous. Keep an open mind towards unusual business proposals. They may come from the most unexpected quarters. Although you might feel apprehensive about them, they might eventually turn out to be very profitable. Those who are in the legal field will be very enthusiastic and will be very successful today. Those who are trying to sell their land or building will receive a favorable response today. Teachers who are coaching students for their examinations and other activities will be well appreciated for their efforts. 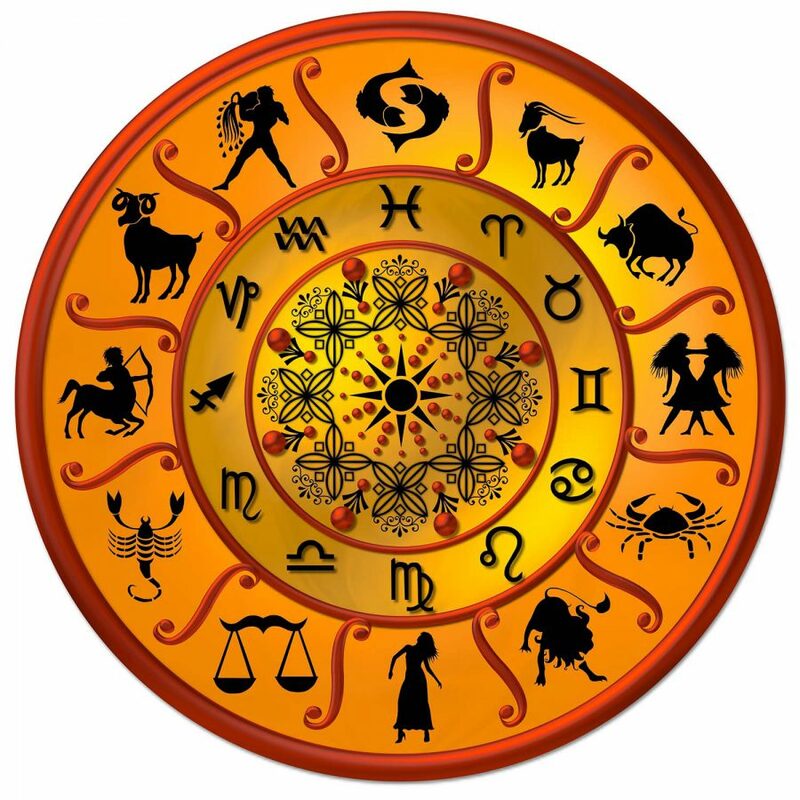 TAURUS – Those who are married would today enjoy a happy and content married life. Those who are single might meet their true love today. A travel is predicted for today. This journey would be to complete a matter that has been pending for some time now. A wonderful day ahead for medical practitioners. They will gain all that they set out to today without much effort. Politicians would today be noticed by people who matter and are influential. This would be very beneficial for their career. You will be in the pink of health. So you needn’t worry about falling sick today. CANCER – Minor health problems of an elder in the family might require urgent attention. A long trip is predicted for you. The journey would take you away from your family for some time. Those in the share market trading would like to keep to themselves today. They might not be too keen to interact too much with their friends or even family. Students might today have a dull day as they begin to feel as if their logical abilities have slowed down. They have been taking too much stress and need to relax a bit. Teachers who are looking for a change of job might start actively working towards it today. Politicians with an enterprising spirit may rise to prominence today. They would be able to advance their career and attain a higher position in their party. LEO – Your generous and warm qualities would bring you some joyful and loving moments. Children will show affection and care for their younger siblings today. Those who are unemployed would be rewarded for their hard work and determination. Those in the legal profession will work towards establishing their business and career. They would take the steps towards this goal today. Senior students will today be appreciated by their department heads because of their excellence in their studies. The juniors would look up on them as their role model. Colleagues and department heads would be pleased with teachers today for the effort they have put in. A promotion might also be on the cards. VIRGO – You will be in a balanced state of mind. In this state you would easily be able to sort out family differences that have come up. Children staying away from the family for studies, etc., may visit unexpectedly. Their visit will bring joy and celebration in the family. A good day if you are planning to go out on a pleasure trip with the family. Teachers will today be blessed with tact and courage to face anything that comes across them. They will accomplish all that they set out to do today. Politicians may meet some very influential and important people at informal gatherings. This meeting would turn out to be extremely judicious Money will be of concern today. Unexpected expenses will drain your financial resources. LIBRA :- Those who are single might spend their day with parents. They might go out shopping or just drive around. A romantic trip with your beloved is predicted. Students might feel low and would be detached from their friends today. They are advised not to lose their self confidence. Politicians need to learn from their past experiences as the key to their success might lie in their past. Artists might not feel too well physically today. They might feel weak in body and mind and may not be at their creative best either. SCORPIO – Those who are single might receive marriage proposals from unexpected sources. Share market investors and brokers are advised to avoid gambling or speculating. Especially if they are dealing with other people’s capital. Politicians with an enterprising spirit may rise to prominence today. They would be able to advance their career and attain a higher position in their party. Sportspersons might meet with someone today who would guide them properly in their respective sport. Your physical health depends on your mental health. Since you will be very happy today you will feel healthy and physically fit as well. SAGGITARIUS – Lovers may look forward to spending a good time together. A family get-together at home will make the elders very happy today. They would love to interact with the kids and other members of the family. Those who are seeking a new job might get an offer for a new job. This will also bring them fame and recognition. Advocates can expect new cases coming their way today. These cases would bring reputation and money for them. A good day for students today who are interested in extra curricular activities like debate, elocution, etc. CAPRICON – Holding on to your emotions and feelings and not sharing with your partner is not good for you. It would also make your partner feel alienated from you and might be a cause of worry for both of you. Those who have recently gotten engaged will spend the day shopping and preparing for their wedding. Unexpected financial assistance will come to businessmen. This would help them greatly in increasing their production or expanding their business. People in the real estate business will have a good day. But they need to ensure that they work practically and are rooted on the ground. Not building air castles. Teachers may have a surprise awaiting them today. It might either be a promotion of a salary hike. A promising day ahead as new opportunities to make an earning come by. AQUARIUS – Those who are single should be very happy today as their love signs are bright and they might meet their soul mate today. A nice drive with family, friends or relatives is predicted for today. A very good day for those in the share markets. They could make a financial fortune today. A mentor will help politicians in building the foundations of a promising career in the political arena. The income will balance the expenditure today. You may even receive the money you had lent out and written off as bad debt. Those suffering from serious illness will benefit a lot from the love and care provided by near and dear ones. It will bring them relief and some happiness. PISCES – Romantically involved couples might enjoy the attention given by their partner. Today they might take some decision towards their future. Children’s education would be a matter of great concern to the family today. A pleasure trip by boat or ship is predicted. A favorable day ahead for doctors as they get their juniors to do the job without having to direct them. Share market investors and brokers might find meetings with important people turning out to be very beneficial. Teachers must show the maturity to be able to take in any feedback that comes regarding their work in a sensible fashion.